that’s really easy to make with your regular craft supplies. It’s simple too, so once you’ve cut out the cardboard, the kids can help you, from early to middle school goers. Looks like you’re all set for this weekend’s activity! 1. Print the Template – on an A4 Sheet. Cut the outline. Trace onto a Card board. Cut out the cardboard. The flaps should overlap to form the floor of the birdhouse and the rectangular flaps on top should align with the pointed roof. 2. Cut out the circle too, and cover the cut cardboard with patterned paper, leaving out the rectangular roof flaps. 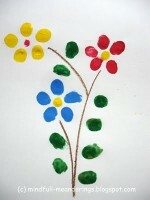 Use a spring themed pattern, or bright colors which you can decorate later. 3. Now fold the house properly and stick the flaps in place with tape or glue. Cover the bare roof flaps with glue and line them with ice cream sticks, cut to size. Spread a line of glue in between to hold both sides of the roof together. Stick a lolly stick under the circular hole for a bird rest. Decorate with washi tape. 4. 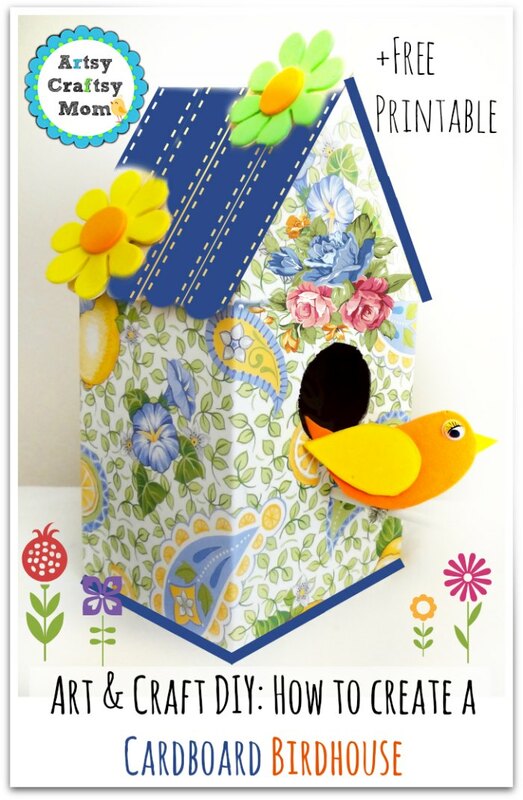 Now your house needs a birdie! Cut shapes for the body, wing and beak from foam sheets and stick them together. 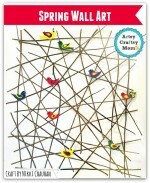 Add a little googly eye and a piece of pipe cleaner on the back to twist it around the bird rest. 5. Fix the birdie in front of her house and decorate it for her. Use foam cutouts or a craft punch to get some decorative shapes. To keep it spring specific, use flowers or greenery. You can even paint the roof, though a plain, ‘woody’ look works as well! You can make miniature versions and place them together for a cute cluster. 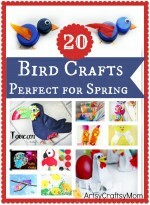 Or make a bigger one with more rests and different colored birds – the options are endless!! So how are you welcoming spring at your home? 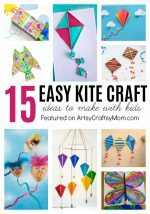 Stay tuned to Artsy Craftsy Mom for more ideas! It looks lovely!! Planning to do this with my daughter. I know my kids would love to make something like this. Definitely perfect for spring.